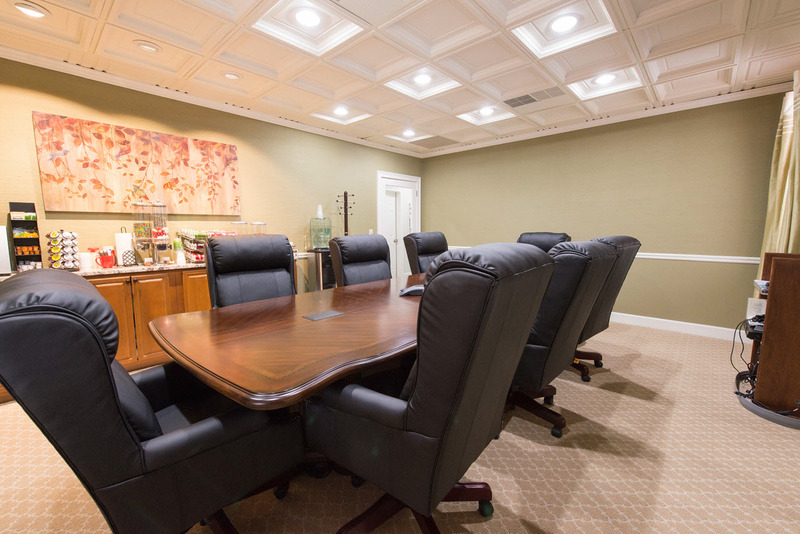 The Birch Boardroom comfortably seats eight. 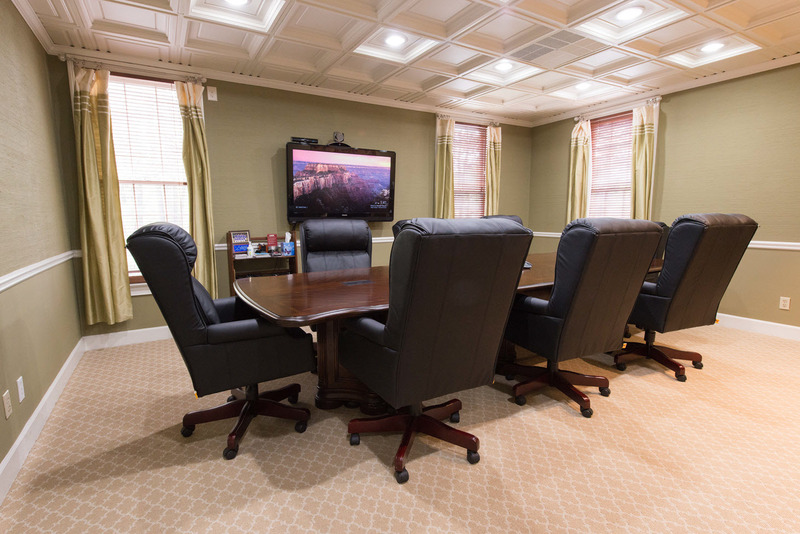 The room has hard-wired videoconferencing capabilities. 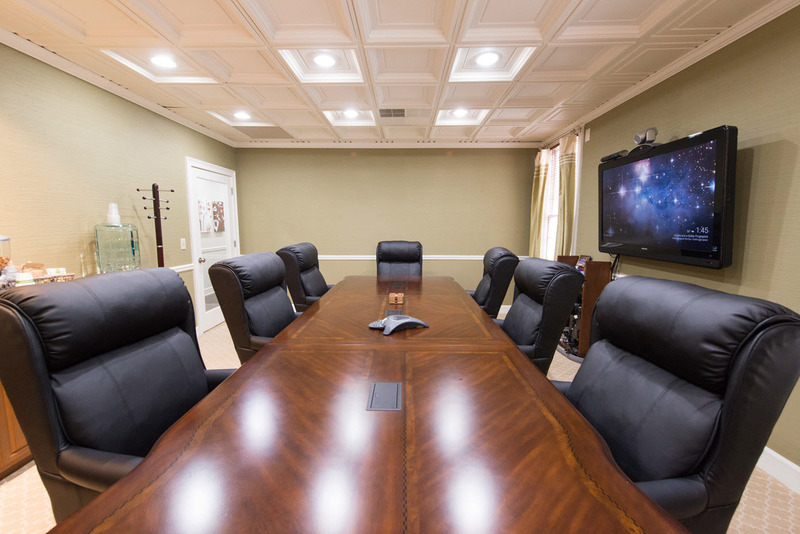 Upon Request, we can make a Polycom speakerphone available and facilitate a conference call. Basic refreshments are also available. 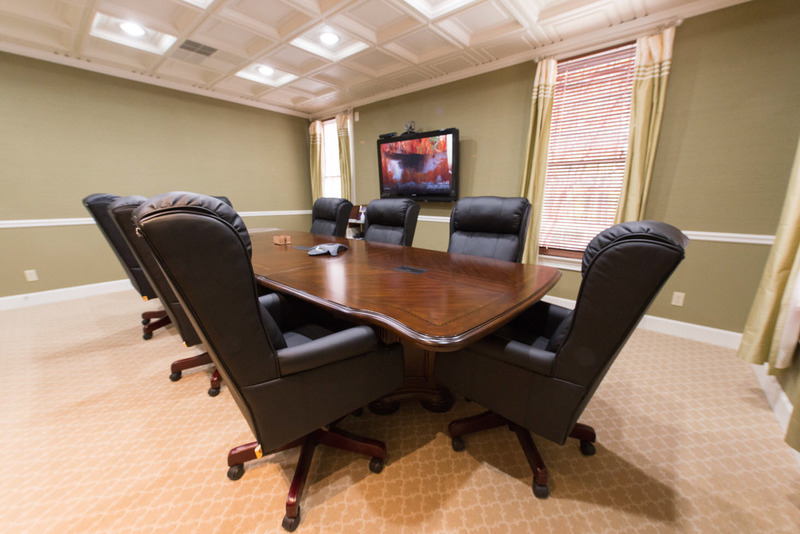 The wall-mounted tv can be connected to any laptop via an HDMI port and used to display presentations digitally to meeting participants. Table includes a charging station for most mobile devices, as well as the ability to hard-wire into the internet. Free WiFi is available.